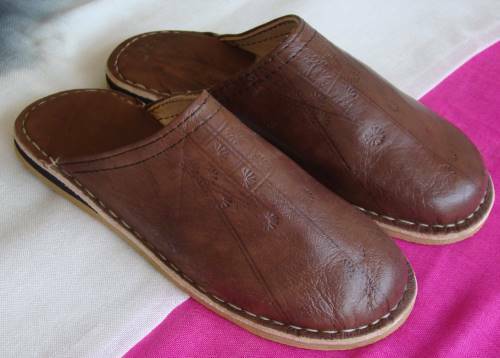 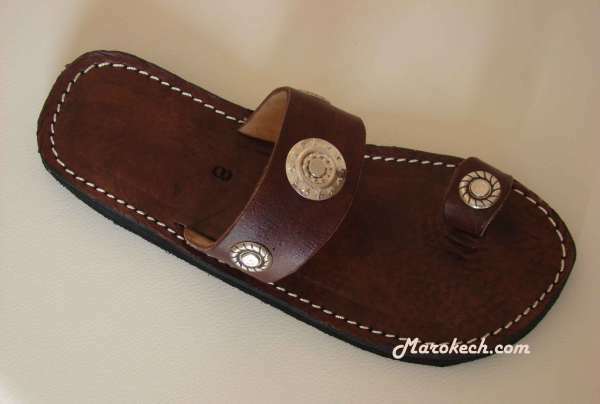 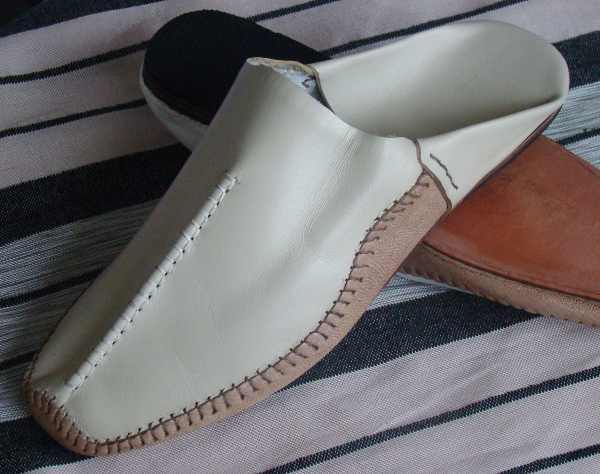 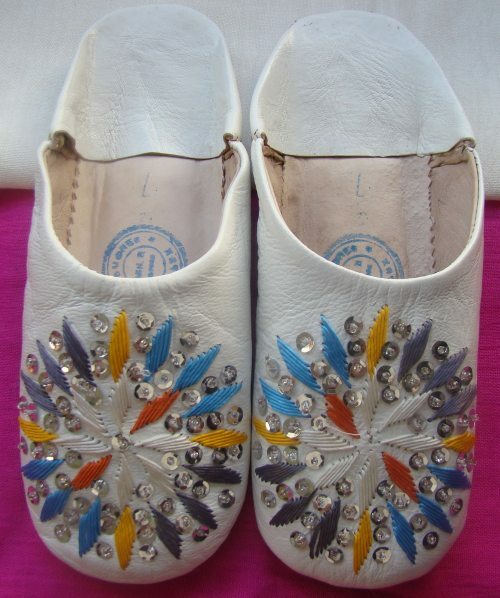 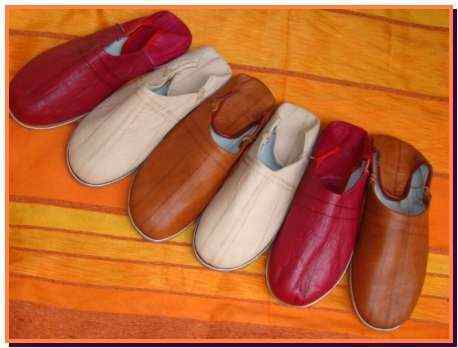 Moroccan slippers fully leather handmade: interior from soft leather , exterior from leather and stitched leather outsole for durable strength. 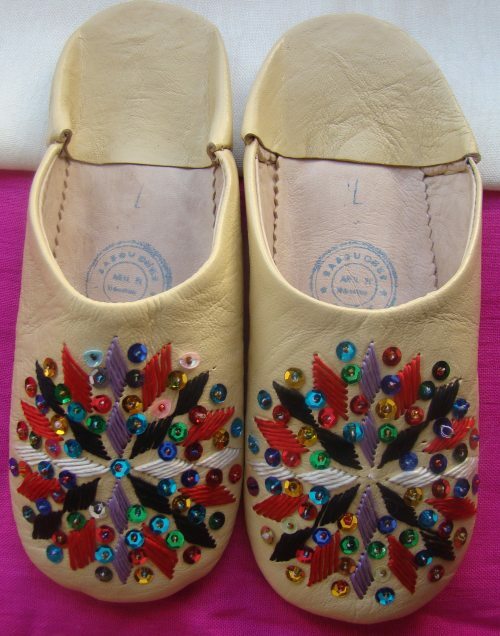 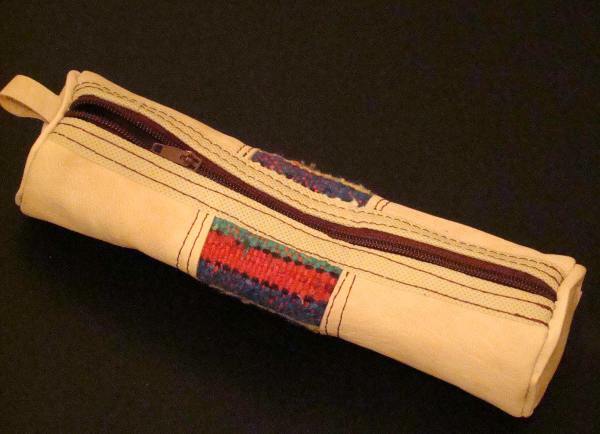 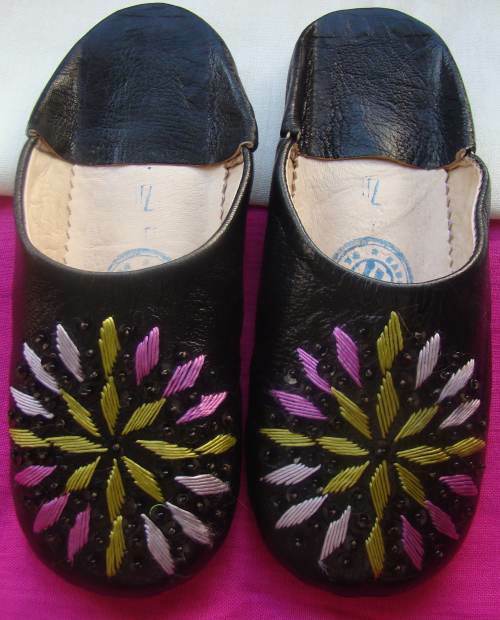 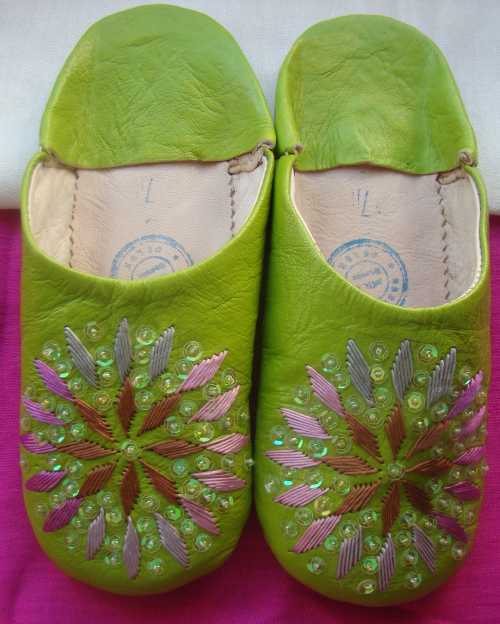 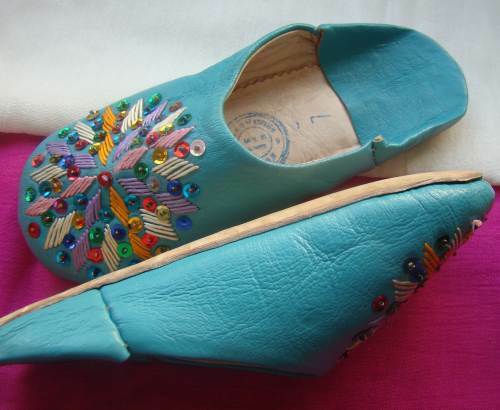 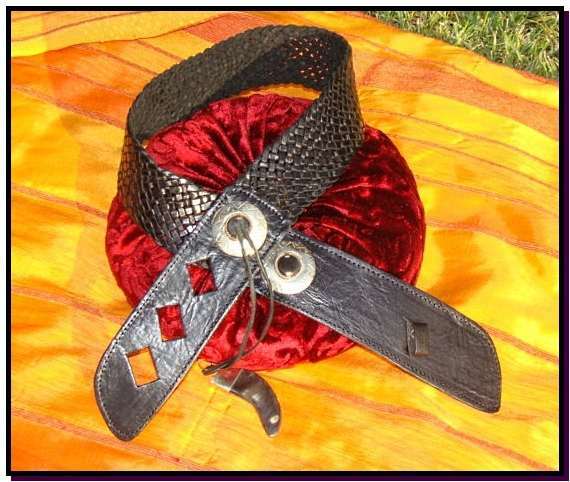 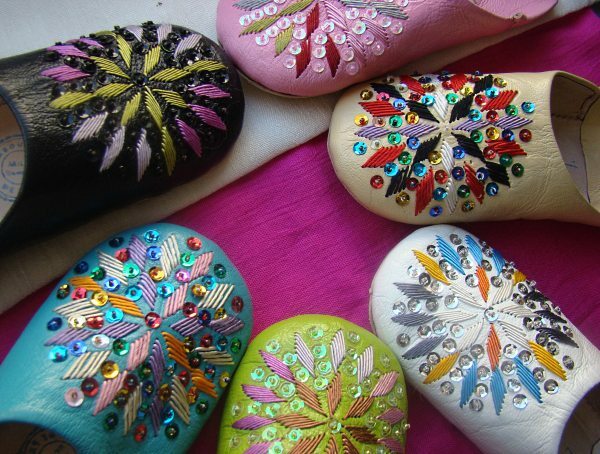 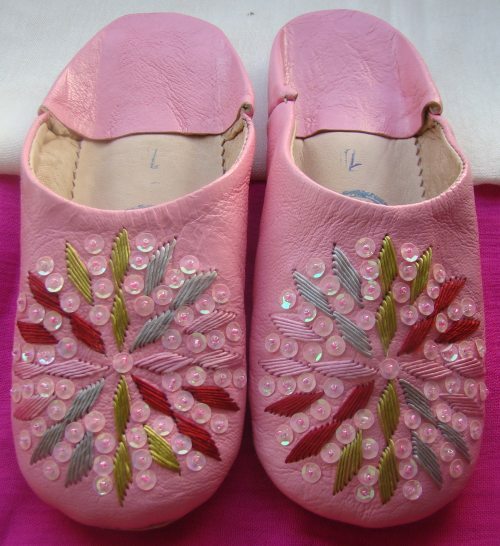 The top of this slipper was hand embroidered with wool and decorated with sequins, which makes this slipper perfect blend of originality and strength. 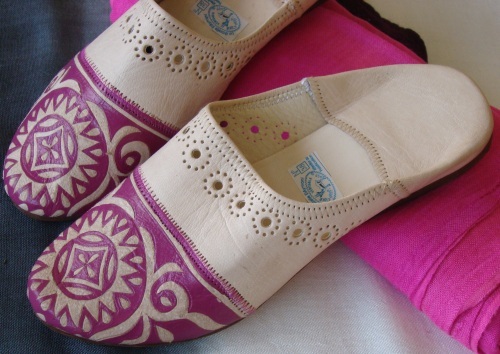 Those who will try these slippers will certainly love the feeling of comfort and lightness they bring.